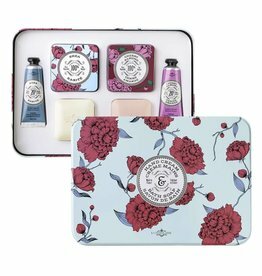 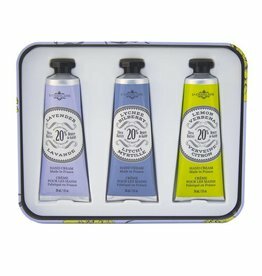 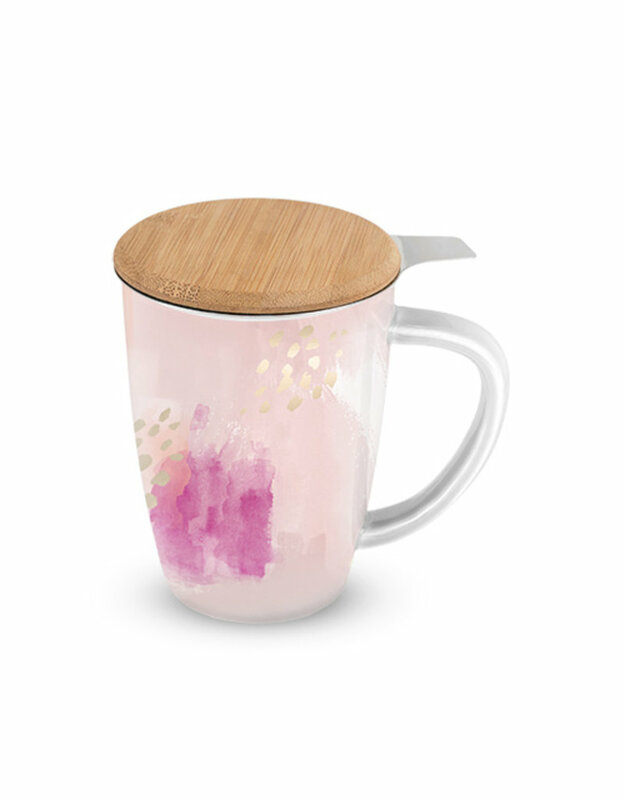 We love this arty and pink tea gift set. 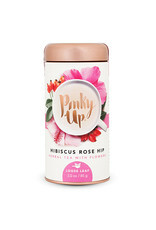 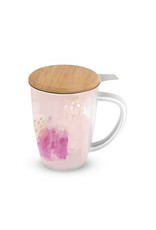 A pink abstract infuser mug plus a tin of Hibiscus Roship tea makes for a very cheery gift. 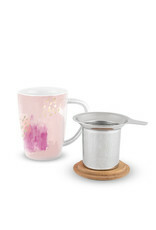 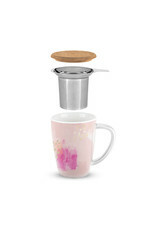 The pink and gold ceramic mug has a stainless steel infuser inside. 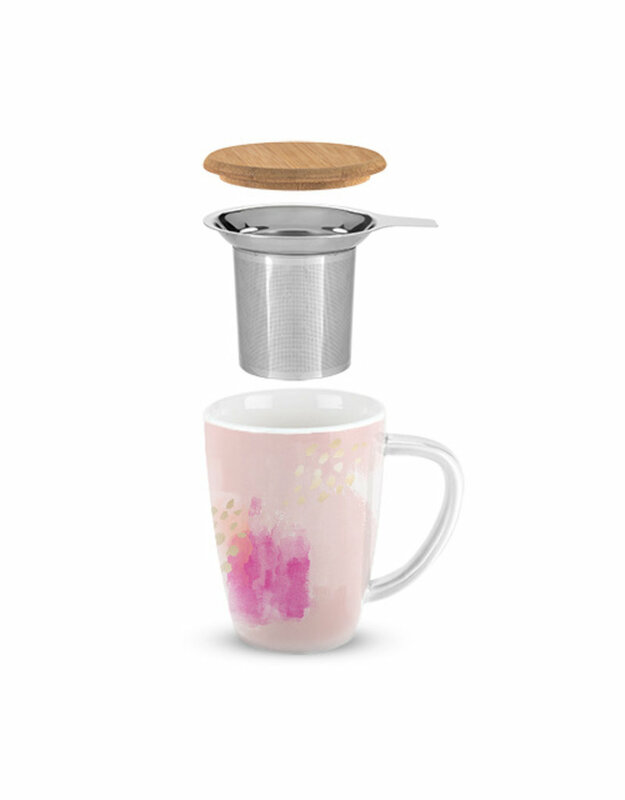 The bamboo lid doubles as a holder for the infuser. 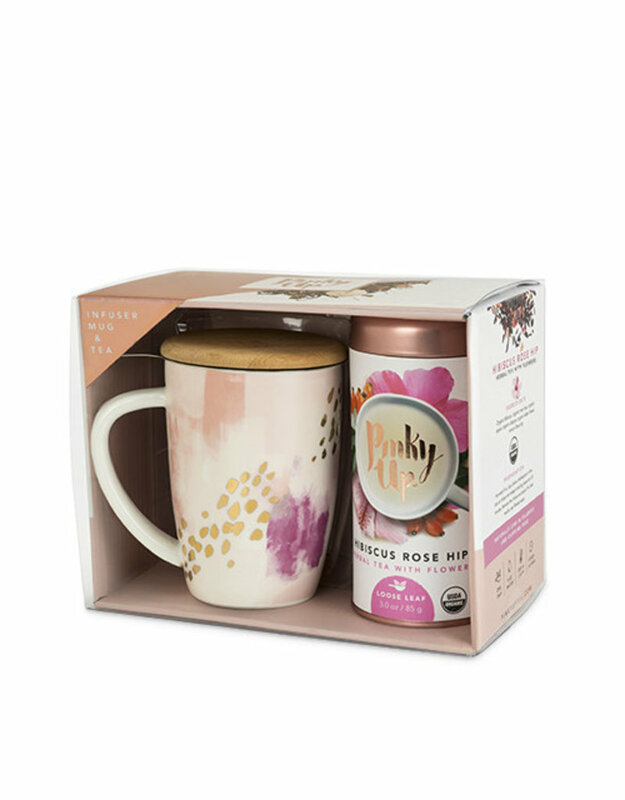 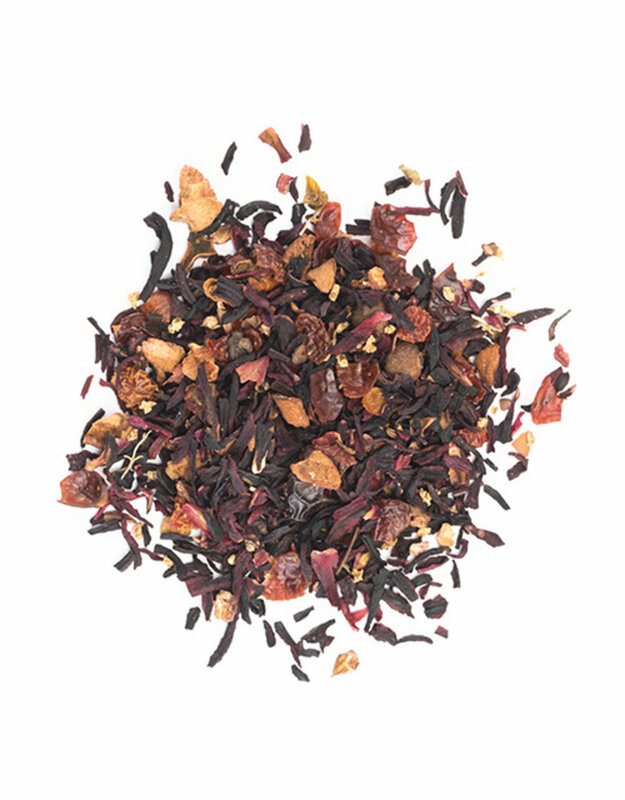 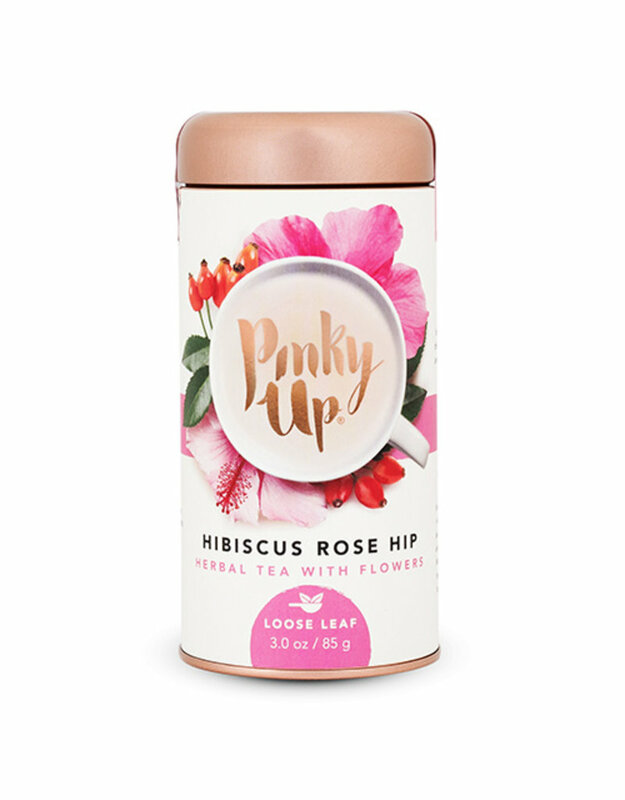 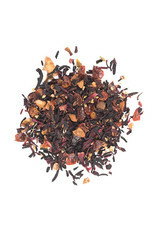 The tin of premium whole leaf herbal hibiscus and rosehips tea is naturally caffeine free and packs a boost of Vitamin C.
The mug has a 12 oz. 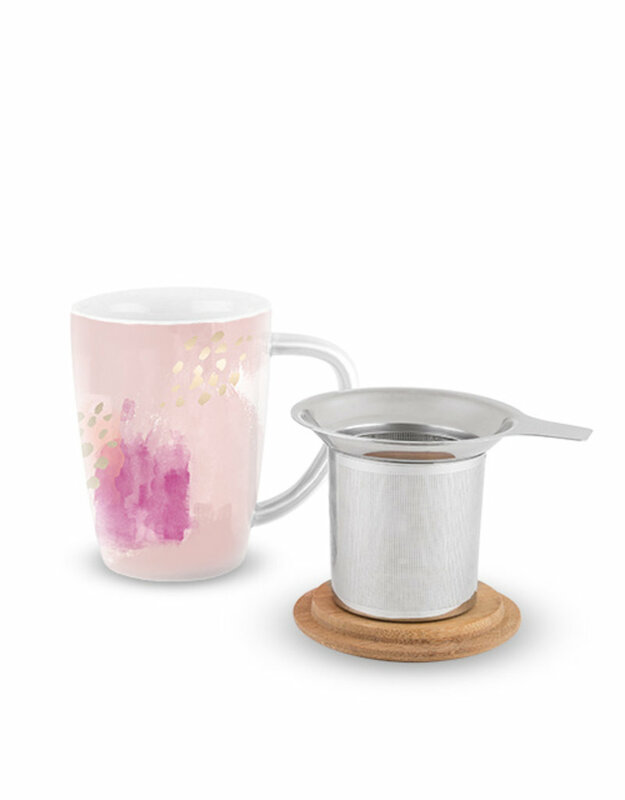 capacity and is dishwasher safe.